The popular Kiki heels from Tony Bianco will make you feel like Cinderella with it's barely- there look. The sandals are made from a clear black vynalite in a two strap design with a silver adjustable buckle on the inner side and a dark grey suede finish on the insole binding. 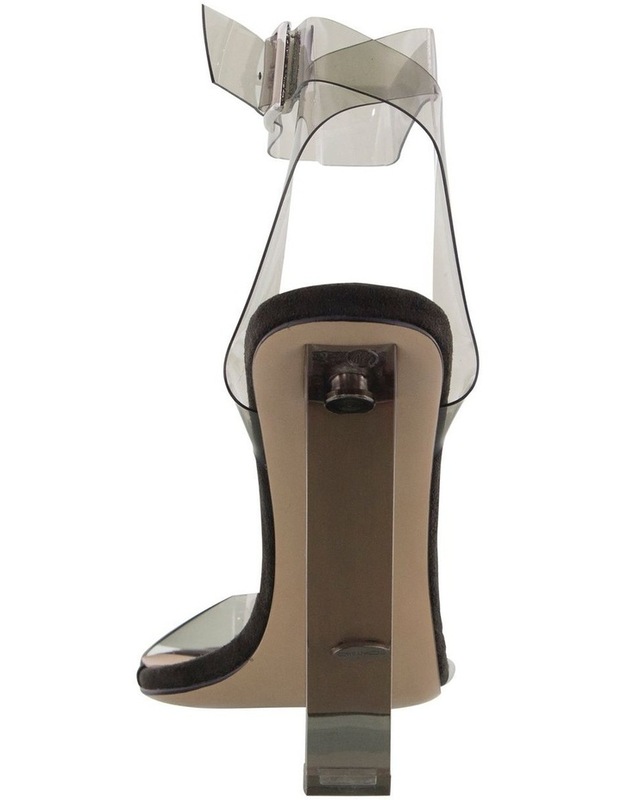 Top off the look with a tall lucite block heel, you'll want to wear these heels with everything.